Clean, wash and soak the rice for 15 minutes. Drain and keep aside. 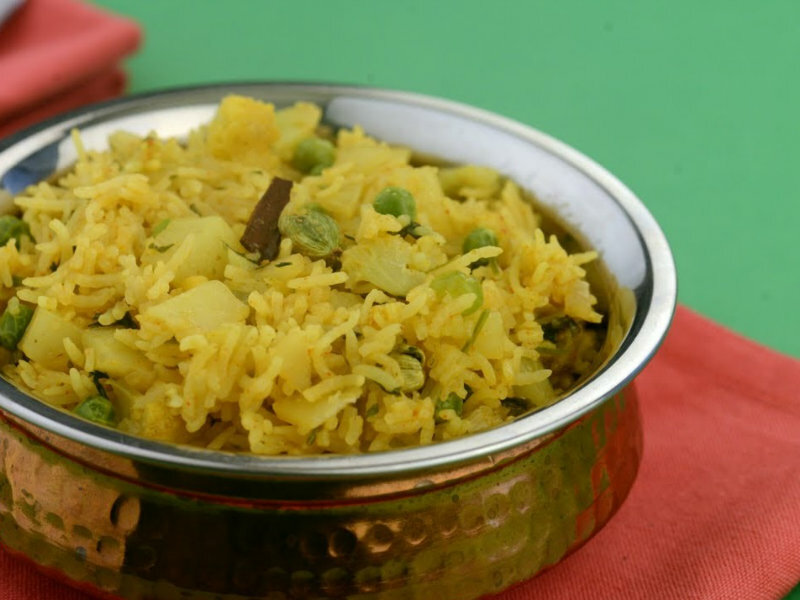 Combine together cauliflower, potatoes, green peas, onions, coriander, turmeric powder, coriander-cumin seed powder, chilli powder, ginger-green chilli paste, garlic paste, clove, cardamom, bayleaf, cinnamon and salt in a handi and mix well. Add the rice to the vegetable mixture and mix gently and keep aside to marinate for 30 minutes. Put 3 cups of water to boil, pour it into the handi, mix well and cover and cook on a medium flame for 30 minutes or till the rice gets cooked.